Nothing is as comforting and relaxing as being closer to nature; once-in-a-week park walks, weekend family picnics, and occasional trips to naturistic destinations, these are just some of the things we enjoy doing to connect to nature and the outdoors. 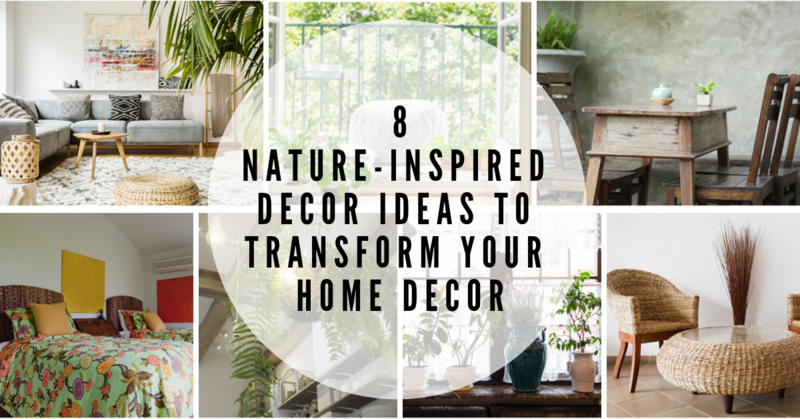 Wouldn’t it be awesome if you could get the feeling of getting sun-kissed in a tropical beach or exploring a tropical rainforest in your very own living room? 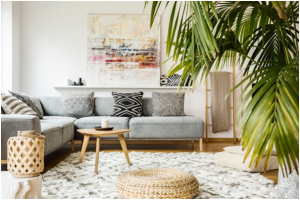 Palm plants exude similar vibes; bring in a couple of potted palm plants and add a naturistic touch to your living room. Comforting elements such as plush area rugs and wooden furniture items can be the right additions. To imitate the airy, cool aura of tropical places, create a light-coloured backdrop by choosing neutrals such as white and beige. Can’t decide upon the right wall colours? Our colour experts at Berger can help you. Get in touch at 16600123432 or email us at customercare@bergernepal.com. Rarely do we put efforts to add visual interest to our rooms’ ceiling. 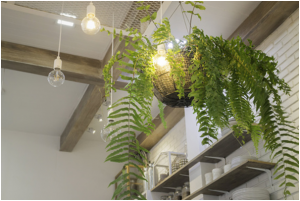 However, you can avoid leaving your rooms’ ceiling looking plain by hanging indoor fern plants. Choose hand-woven baskets for a sophisticated naturistic look. The perfect way to complement the greenery you’ve added to your rooms is by choosing a couple of wicker furniture essentials such as chairs and a table. 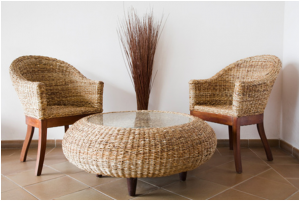 The natural look of wicker furniture items can balance the warmth factor. Keep wicker furniture items in clusters to make them a focal point. Have a living room with a balcony view? Welcome the positive and refreshing vibes of bright summer days with greenery. Keep different types of potted plants such as areca palm, English ivy, and dracaena in your balcony space to create a garden-like aura. Floral prints can work wonders when adding naturistic inspirations to your rooms. 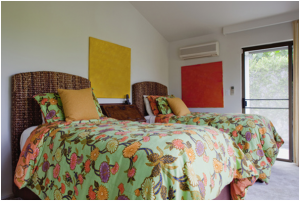 In your bedroom, you can’t go wrong in bedsheets and pillow covers that have colourful floral patterns. To create a themed look, choose bedsheets, pillow covers, and drapes having the same floral prints. Let the naturistic inspiration of your interiors reflect on your porch with a vintage-style bare wood double armchair. Choose a bare wood stool and a couple of potted plants to add more depth to the overall style of the space. Draw attention towards the windows in your rooms by getting the treatment right. 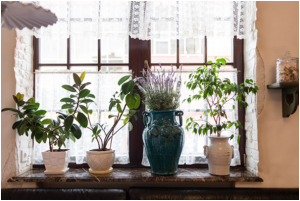 Place small indoor plants in sophisticated ceramic pots and keep them in your rooms’ window sills. Choose various pot colours to add a bit of quirkiness. There’s something special about enjoying freshly-brewed tea in your porch or balcony, while soaking in the sublime evening sun and the freshness of the outdoors. Make this experience more memorable by creating a small tea time space. In your balcony, bring a small set of table and chairs; it’s best if the furniture items have a natural finish.